Safety harnesses are part of the Occupational Safety and Health Administration’s (OSHA) fall protection program. The construction industry alone sees between 150 to 200 fatalities and more than 100,000 injuries per year due to falls at construction sites. OSHA has recognized this problem and has created standards that will better protect workers from falling hazards. The full-body harness, the most commonly used personal fall protection device, is designed to arrest the fall of a person. They are rigged to prevent a worker from free falling a distance further than 6 feet and hitting the ground or lower platform. They are designed to be tied off or anchored to a fixed structure that is above the worker’s body and capable of supporting 5,000 lbs of dead weight. Do not tie-off to electrical conduit or similar smaller piping. Safety harnesses consist of anchorage (D-ring), connectors, and a body harness. The body harness consists of straps that are worn snugly around the worker’s body, including leg straps. The D-ring on a sliding-back D-ring harness should be centered on the back, between the shoulder blades. This allows for the person to stay in the upright position after a fall. The body harness is designed to absorb the force of a fall through the shoulders, buttocks, legs and torso. Harnesses are designed to be used with safety lanyards. Many companies and job sites require an increased element of safety by requiring the harness to have a dual lanyard incorporated, commonly referred to as 100% tie-off. Ensure that you calculate the length of the lanyard in any fall distance calculations. A personal fall arrest system/safety harness is required by OSHA whenever the employee is 6 feet above ground and is not protected by a guardrail or safety net, during the assembly or removal of scaffolding with incomplete handrails systems and more than 10 feet above the ground, and when using any aerial equipment that raises the employee higher than 6 feet. The use of a personal safety harness is also required when working around floor openings and on any roof without handrails when the worker is less than 6 feet from the edge. Companies can make OSHA's requirement more strict; check with the safety department of your company for any more stringent policies prior to engaging in overhead work. Calculating the fall distance to ensure that the proper length lanyard is used is very important to the employee’s safety. To calculate fall distance, you must know the length of your lanyard and its shock absorber’s maximum length. You also need to know the height of the work surface. The manufacturer may state that the lanyard length is 6 feet and the shock absorber will expand an additional 3 feet. Add 6 feet (the average height of an employee), add another 3 feet as a safety factor, giving you a total of 18 feet. This is the height at which it would be safe to work. 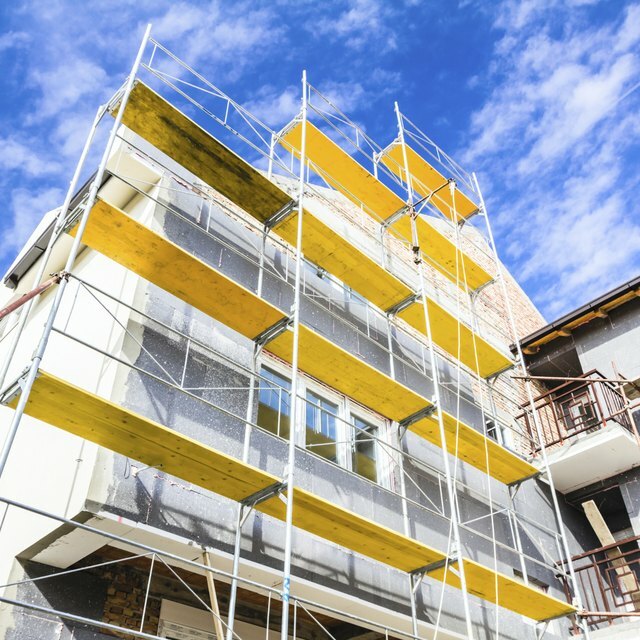 Employers are required to inspect the work site for potential surfaces that employees are required to work on that creates a potential fall hazard. If there is a potential fall hazard, the employer must select a fall arrest system to protect the worker. This includes systems that include the safety harness. It is the employer's responsibility to provide the fall protection and the proper training for its use for the employee. It is the employee/user’s responsibility to wear a harness properly when required. If an employee is not familiar with the proper donning and use of a personal safety harness, it is his responsibility to make that fact known to his supervisor so proper training can be completed. It is the user’s responsibility to inspect the harness prior to each use and to calculate fall distances for the current task. If the harness is shock-tested or it has been used in a fall, OSHA requires that the harness be inspected by a competent person.